Mosiah 3:19 has long been my favorite scripture. I was pleased to learn many years ago that it was also one of the favorite scriptures of Elder Neal A. Maxwell. 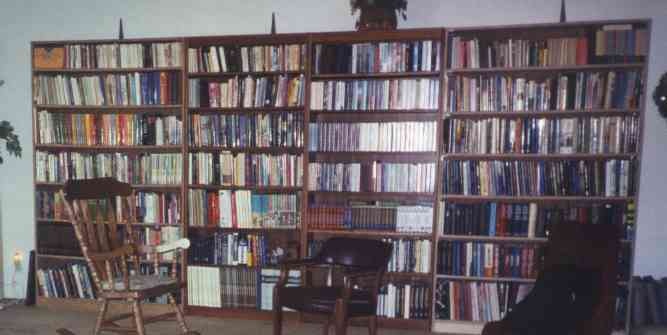 I think I have maybe half of Elder Maxwell's nearly thirty books in my library. Elder Maxwell wrote so much about discipleship. He also was the epitome of humility and submission. The man was an intellectual genius but wrote in such a way that the focus was never on him; it was always on the Savior. FARMS (Foundation for Ancient Research and Mormon Studies) was renamed the Neal A. Maxwell Institute for Religious Scholarship in honor of Elder Maxwell. It is a fitting tribute. He loved scholarship. 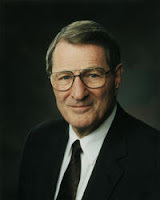 Bruce C. Hafen, who has also served in various capacities in church education, wrote a wonderful biography of Elder Maxwell appropriately entitled "A Disciple's Life." It was and is a welcome addition to my library when published in 2002. Elder Maxwell died in 2004. Elder Maxwell has pointed out that the word "submit" is used several times in this verse. It is closely correlated to the act of yielding, in this case to the enticings of the Holy Spirit. The natural man has no desire to be submissive to anybody let alone to the loving encouragement of a God who only has his eternal happiness in mind. The natural man views submissiveness as a weakness. "Personal righteousness, worship, prayer, and scripture study are so crucial in order to "[put] off the natural man" (Mosiah 3:19). " (General Conference, Oct 2000) "One is not only to endure, but to endure well and gracefully those things which the Lord "seeth fit to inflict upon [us]." (BYU Speeches 27 Nov 1979) Almost everything I read from Elder Maxwell on this verse indicates that he equated putting off the natural man with submissiveness and patience. You can read more about Elder Maxwell's profound understanding, interpretation and instruction on this verse in his Conference talk of November 1990, "Put Off the Natural Man, and Come Off Conqueror." This marvelous verse characterized the life of a great disciple. By following the advice of an angel as delivered to a Book of Mormon prophet, a man became an apostle. By doing the same, can we at least expect to be saved in the Kingdom of God? Love the post. My son listed Mosiah 3:19 on his missionary plaque, which now hangs in my home. He has been home a year. One of my favorite books is: "The Neal A. Maxwell Quote Book" by Cory Maxwell. Under the heading of "Natural Man" one quote reads: "Facing up to gospel truths is not easy for the natural man, since he prefers playing in his local sandpile rather than contemplating the cosmos and thereby seeing God 'moving in his majesty and power.'" Somehow I would like to think living the gospel makes us better scientists. We do not always live up to the ideal, however.